As a deer hunter, you must master the art of patience. You must learn to quietly track your prey, and find the perfect spot to hunker down and wait. To increase your odds of at least getting a shot in, you must invest in a quality deer call. There are many to choose from, which is why we compiled a list of the best deer calls for 2017. Some of these calls are self-operational, while others require you to master the skill of blowing a varying range of calls. some hunters prefer calls that mimic the entire heard, while others are happy with just a doe who is ready to mate, or only a specific species of deer. Whatever your needs may be, this list of best duck calls has you covered. If we had to pick just one, this would be it. Sincerely the best deer call on the market today or ever. It might cost just a tad bit more than most, but it’s well worth every penny. This call requires you to learn a few techniques, to call fawn doe and buck whitetail deer—and even to adjust volume. You can mimic the entire herd at with this simple call. Without the instructional DVD you might not be sure where to begin, so be sure to watch. In fact, this call’s tone, pitch, and range are so impressive that it received an unprecedented 99.6% rating from North American Hunting Club. You can even use it in cold weather without worry of freezing. Click here to read our full Illusion Extinguisher review! 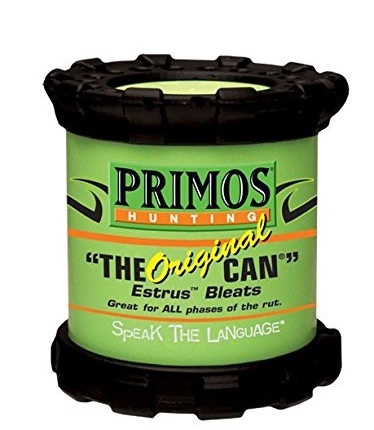 An oldie but a goodie, you can’t have a list of the best deer calls without The Original CAN. If you are new to hunting, yes this operates in a similar fashion to a toy you buy for your toddlers—but it’s so much more! This tiny can fits easily into your pocket, but when turned from top to bottom, mimics the sound of a doe who is ready to mate. Attracts whitetail, blacktail, and mule deer. 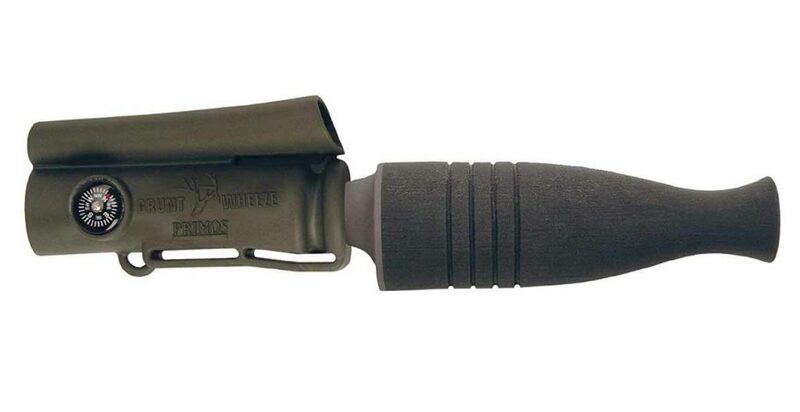 This can call has been around for decades, but is improved with no-slip grips—and more durable materials. Even the call mechanics continue to improve with each new generation. While some duck calls require disassembly to transition from one call to the next, no disassembly is needed here. Mimic every member of the herd, with this one simple call. The secret to success is the patented fingertip controls that allow you to achieve authentic tone and pitch with the simple roll of a finger. Once you master inflection, you’re all set. Comes with a lanyard and easy to follow instructions. Easily one of the best deer calls you will find. For those of you who don’t want to have to master a musical instrument disguised as a call, this is the best deer call for you. With an entirely different approach, this call doesn’t speak deer. Instead, it mimics the sound of battling bucks. 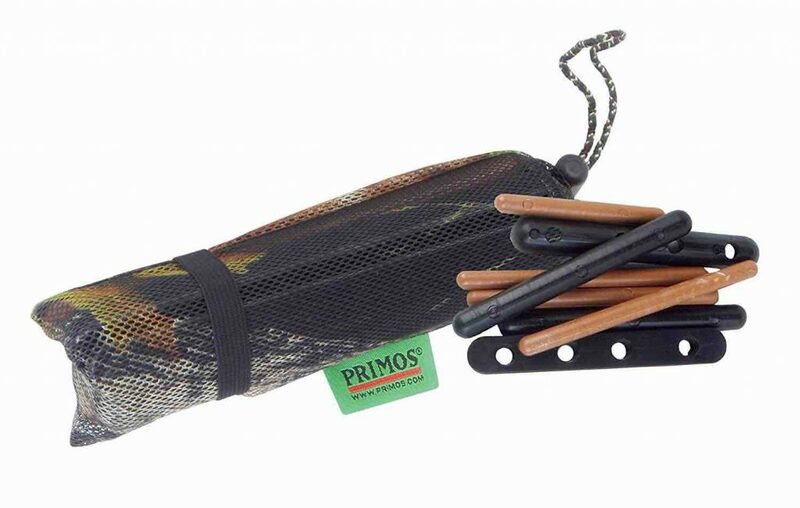 The “rattling” instruments come in a lightweight mesh bag. All you need to do is rub the bag together in your hands. Although plastic, the sound is surprisingly accurate—and plastic is waterproof. The bag comes with tines to ensure there is no unnecessary sound when walking. 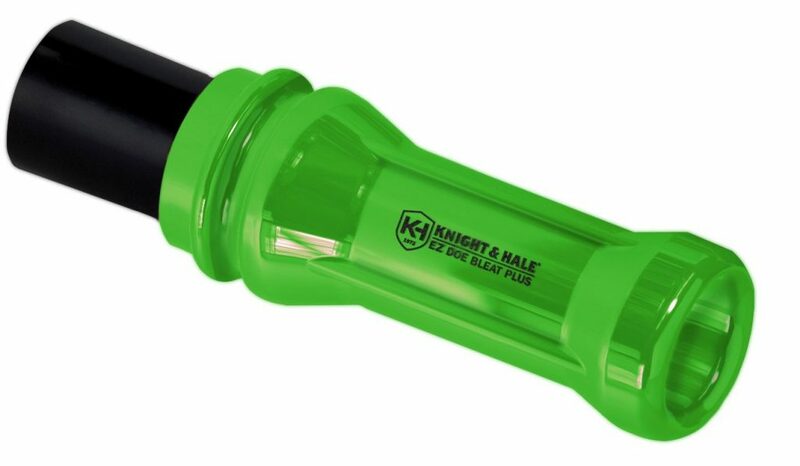 Although lightweight, this deer call may be a bit larger than you prefer. Use as your preferred call, or one of many. At first glance this might look like some sort of plumbing contraption, but we promise it is a versatile deer call—in fact one of the best deer calls. The accordion hose provides you with 6 calls in 1. While the hose is plastic, the reed and mouthpiece are wooden. This call produces a series of throaty grunts that with proper hand placement has an impressive range. Perfect for cold and wet conditions, or even warmer days during your hunting season. To really get the hang of it, don’t just read the directions—watch an instructional video. 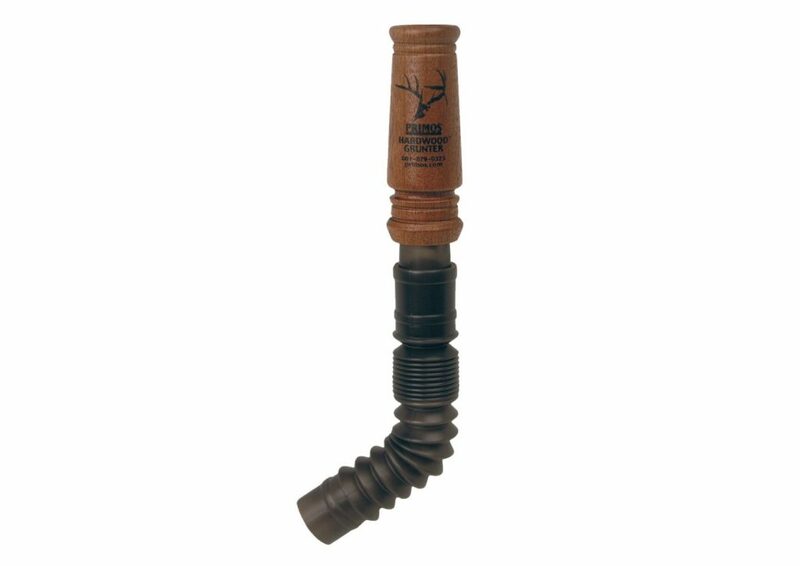 This might just be the best deer call for newbies, as it’s super simple to call with slow and steady airflow. This call sounds more like the cries of a distressed fawn, so quite different than the rest of the calls on this list. Users say that it stops both does and bucks in their tracks, to see where the cry is coming from. Lightweight and compact, with a snap-in-place reed. Also, easy to disassemble and clean. Maybe not the most versatile call out there, but solid. 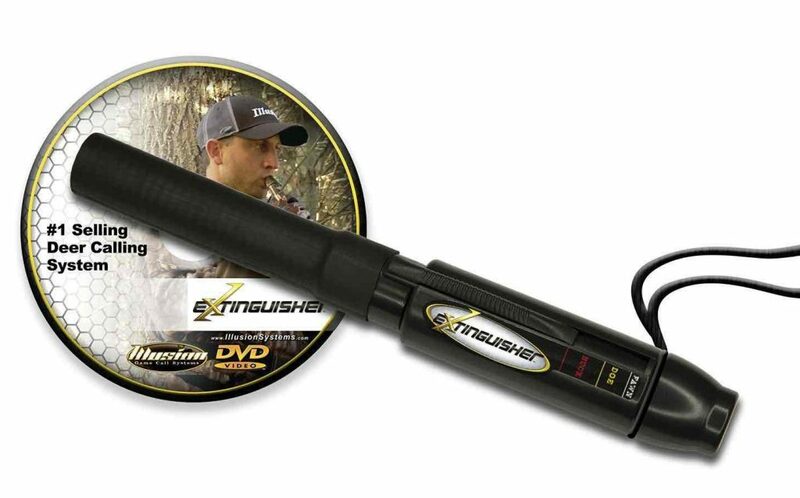 This call is the preferred call for bow and arrow hungers, because it is completely hands-free. 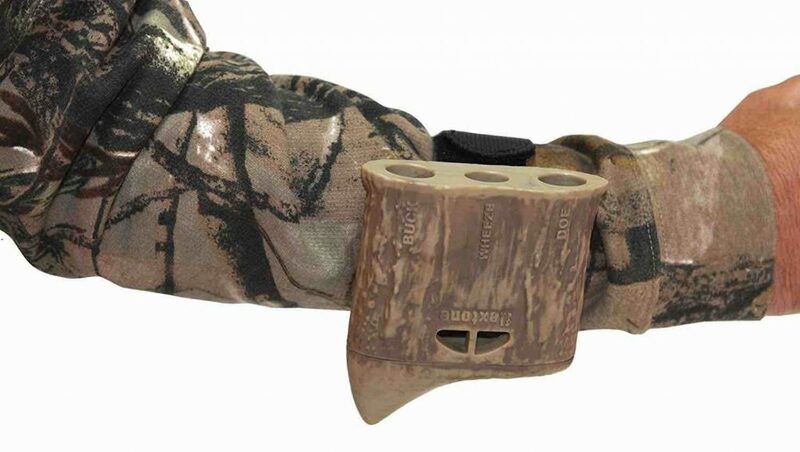 This lightweight call straps comfortably to your wrist, and has 3 separate chambers to call buck, wheeze, and doe. This is considered one of the most full-proof calls out there, as all you have to do is blow a light and steady air pressure to grunt, snort, wheeze, or bleat. This call is endorsed by Michael Waddell. Although this game call was designed with bow hunters in mind, it can certainly be used for shotgun deer hunting. This is another lightweight call designed to strap to your wrist, without worry of getting your gear tangled up in your lanyard. This call is designed to grunt like an aggressive buck, and is quite loud. It will take a bit of practice to perfect an authentic call, but once you get it right you are golden. As with all the calls, for any type of hunting—you can speed up the process of perfecting your call by watching an instructional video. As an added bonus this call has a built-in compass, meaning you have one less piece of gear to bring with. Whitetail deer of one or another subspecies are hunted in almost every habitat our continent offers. Hunting techniques vary according to conditions. In heavy cover, we most often hunt from stands. Open country encourages still-hunting, or spot-and-stalk techniques. Serious hunters in all regions use rattling antlers, calls, lures, and decoys often in combination. By now, we hope you've selected one of the best deer calls we rated above. While whitetails are whitetails, they don't act exactly the same across their broad range. A surefire Alabama tactic may not be quite as surefire in Montana. Hunting America's favorite game animal can be a diverse, seemingly complex sport. No one can be an expert on all whitetails under all conditions, but I've hunted these difficult deer in many different habitats. I think there are some universal truths that help lead to success. HUNT WHERE THE DEER ARE. Country that looks good may not always hold deer. You need visible deer sign tracks, droppings, rubs, or scrapes before commiting your efforts to a particular area. Make sure that sign is fresh. HAVE FAITH. If sign or sightings reinforce your belief that you're in a good spot, stick with it. Time is one of the most important elements in consistent whitetail hunting success. The more time you can give it, the better your chances. This applies to the number of days and the number of hours each day you can devote to the If you aren't in the woods, you won't take a deer. BE FLEXIBLE. Despite your best scouting efforts, you may have it wrong. Deer may be visiting your area only at night, or maybe just passing through on their way to other feeding and bedding grounds. Don't change stands or hunting areas willy-nilly. If you aren't seeing deer and believe you should be try to understand why. It may be time to move. On the list above, we're confident we've shared the absolute best deer hunting calls of 2019. Some are tried and true, and others are one of many calls in a line of game calls by trusted brands. As with all game calls, you may want to invest in more than one to cover all of your hunting needs. If you will be out hunting with a partner or small group, consider bringing one different call each—to test and see which one works best. Again, patience is the name of the game, but these calls will help you attract the attention—and stop deer in their tracks.